As I study the water to determine which way the river is flowing I notice a small movement among the billows of filamentous alga in the shallows near the rock on which I'm sitting, and there is a tiny Snapping Turtle, struggling to extract its hind feet from fine clingy filaments of alga. And here is another, paddling up to the boundary between water and land, where it claws itself a little depression for resting from the exertions of hatching and struggling downhill through the tall grasses from the nest site. Then I notice a third and a fourth hatchling, all in the shallows near the sandy beach. Fred joins me and together we count six baby Snappers. 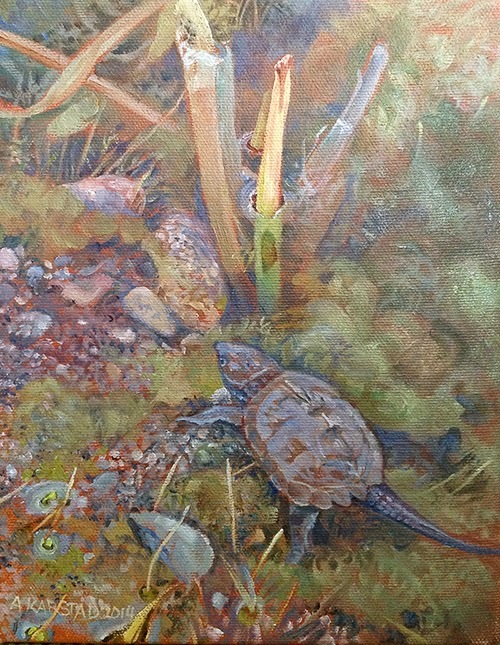 I plan my painting - one of the hatchlings beneath the water surface - understating the coin-shaped little animal so that it is seen as a part of its watery world, with only a couple of cattail leaf bases emerging. Behind me, Fred searches the steep highway embankment for the nest hole. The bank has grown up thickly with Horsetail and Sweet Clover since the mother Snapper laid her eggs in June, and he found no sign of an emergence hole. It's much easier to spot a turtle nest after it has been found and excavated by a Raccoon or Skunk, leaving a litter of curled white shell scraps - but an unfound nest remains invisible through the summer and early fall until the first tiny turtle digs its way out. This south-facing embankment of sandy gravel is the best kind of nesting substrate in a landscape so flat and composed of clay and rock. We remember how many nesting Snappers we've seen close along roads back home. With so few roadkills here, we speculate that this may be a case where a highway may benefit a Turtle population. Each tiny turtle alternately rests and explores, learning about its watery home. 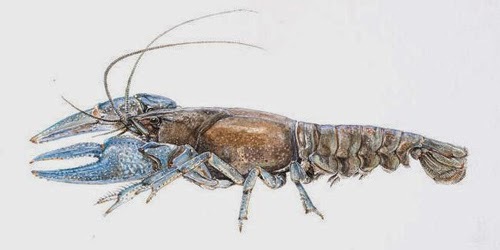 By the time their internal yolk sacs are absorbed they will have noticed the movements of aquatic insects and learned to hunt, and when the water temperature drops toward winter, they'll be quietly hidden in deep water, waiting for spring. 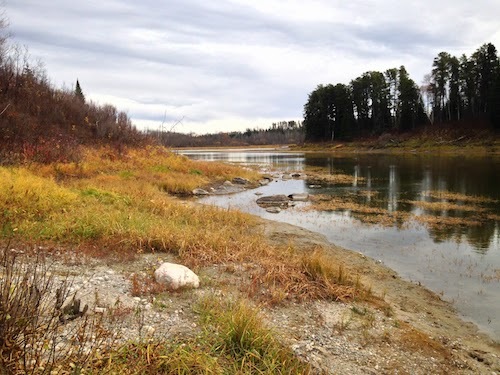 Fred works up and down both shores of the river, scanning for Unionid mussels, picking up handfuls of drift, and noting four young Green Frogs and lots of sign of Beaver cuttings, as well as Canada Goose, Mink, Muskrat, Coyote and Wolf tracks. A Kingfisher flies like an arrow across the river, and a Raven comments "Grawk" from the pine tops. I could spend all day following my little turtles, but it's time to continue east to the next pipeline crossing. Great job on the transparency of the fluid!